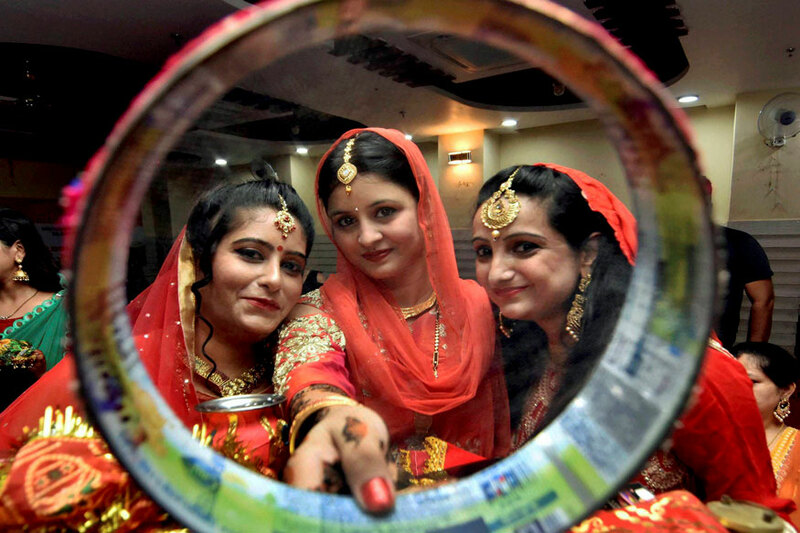 New Delhi: A majority of Indian women in a sample survey said they fast during Karva Chauth as an expression of love, and not because of tradition or societal pressure. The survey was conducted among 7,533 responses from Indian men (42 per cent) and women (58 per cent) aged 21 to 50 years, by matchmaking service Shaadi.com, to understand the perspective of men and women on the fasting ritual of Karva Chauth, read a statement. When women were asked why they fast during Karva Chauth, 67 per cent said 'as an expression of love', 25 per cent said ‘a tradition' and 8 per cent said ‘societal pressure'. When men were asked, why do they think their partners fast for them, 55 per cent said ‘a tradition', 32 per cent said ‘as an expression of love', 13 per cent said ‘societal pressure'. The data highlights the clear disparity that exists in the perspectives of men and women. To further understand this, women were asked ‘If you are fasting, would you want your partner to reciprocate the gesture', 75 per cent said ‘Yes' and 25 per cent said ‘No'. When men were asked the same question, 92 per cent said, ‘They would want to reciprocate the gesture'. Taking a closer look at the difference in views, women were asked, ‘If you are fasting, how would you like your partner to reciprocate the gesture? ', 76 per cent said ‘Fasting with me', followed by 18 per cent saying ‘Cooking for me' and 6 per cent saying ‘Taking the day off to spend quality time together'. When men were asked, ‘If your partner is fasting, how would you like to reciprocate the gesture? ', 62 per cent said ‘Taking the day off to spend quality time together', followed by 29 per cent saying ‘fasting with her' and 9 per cent saying ‘Cooking for her'.